signed along with a lot of others. The oceans ans all living creatures in it have no chance. The world uses it as a trash can for every toxic thing. Then we turn around and pull out every living thing we can catch, or trawl the bottoms and destroy the corals and everything else in our paths. Small wonder we have problems eating the seafood gobbled out of the oceans with mercury and the like. We do not deserve our world. And we soon will not have it except what is trashed and destroyed. Signed, noted and shared. Thank you Cal. 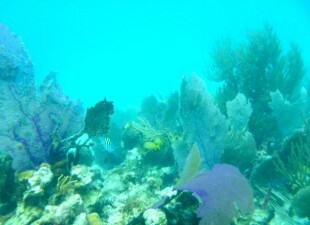 The beautiful reefs need our help! Signed noted and shared! Glad to give my support. Happy to note and sign. As the coral reefs are the most important ecosystem in our oceans for the algae, fish and turtles they must be helped now! Thanks for the great article posting Cal. Of Course I signed! These Coral Reefs are in so much danger and we have already distroyed so much of these beautiful and wonderful creations!